Be the first to share your favorite memory, photo or story of Rosa . This memorial page is dedicated for family, friends and future generations to celebrate the life of their loved one. 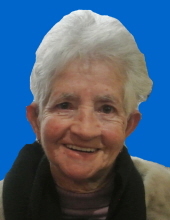 Rosa M. Pinho, 81 years old, passed away on March 15, 2019. She was born in Murtosa, Portugal and emigrated to the United States in 1960 and resided in the Ironbound Section of Newark NJ before moving to Harrison in 1970. She was the wife of the late Orlando O. Pinho. Rosa initially worked as a seamstress at various clothing manufacturers. She then was employed at the RCA factory in Harrison NJ as an amplifier and television tube maker, the predecessor to transistors and today’s silicon chips. After RCA closed its factory, Rosa resumed as a seamstress specializing in children's clothing. Thereafter, she opened up Rosa Fashions, a children’s clothing store, which she owned and operated for twelve years where she sold quality children’s clothes including custom made dresses. She was a member of the Centro Romeu Cascaes Portuguese American Club in Harrison for many years and attended Holy Cross Church in Harrison She was an avid gardener, loved to crochet and needlepoint. Beloved Wife of the late Orlando for 52 years; loving mother of Orlando Jr and wife Janet and John and wife Gleidy; dear sister to Maria “Tina” married to Ernesto Oliveira, Lazaro “Hank” Matos and his wife Phoebe, Maria Sapata and her husband Manny and the late Joseph Matos; sister-in-law Maria da Gloria & her husband Adelino Oliveira; cherished grandmother of O.Ryan and Nicholas Pinho; aunt of Nephews Ernesto Oliveira (Jr), John “Rusty” Matos, Manny Sapata Jr., John Sapata, Marco and Tiago Oliveira and Sherry Matos Weatherall. The Funeral for Rosa will be on Wednesday, March 20, 2019 at 8:30 am at the Buyus Funeral Home 426 Lafayette St., at Wilson Ave., Newark, NJ 07105. Thence to Our Lady of Fatima Church, Newark, where at 9:30 am the Funeral Mass will be offered. Interment Holy Cross Cemetery, North Arlington, NJ. Relatives and friends are welcome to attend. Visitation for Rosa will be held on Tuesday, March 19th, from 4 - 8 pm. In lieu of flowers, contributions to the St. Jude's Children Research Hospital, P.O. Box 50, Memphis Tennesee 38101 Mrs. Pinho and her late husband were longtime supporters of the Children’s cancer hospital. Or the Centro Romeu Cascaes Building Fund, 14 North Frank E. Rodgers Blvd, Harrison, NJ 07029 in her name. To send flowers or a remembrance gift to the family of Rosa M. Pinho, please visit our Tribute Store. "Email Address" would like to share the life celebration of Rosa M. Pinho. Click on the "link" to go to share a favorite memory or leave a condolence message for the family.